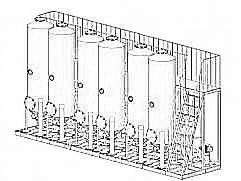 The biodiesel reactor consists of primary and several complementary mixing sections mounted on a welded frame Prepared components are directed to the hydrodynamic mixer by the pumps. 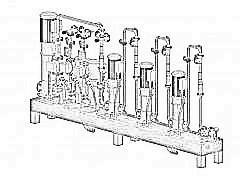 Flow rate is controlled by flowmeters. 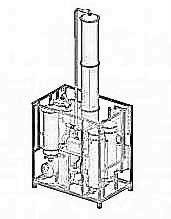 Regulating valves are installed to adjust the streams. 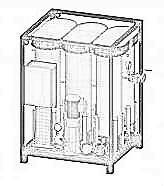 For control of the mixing process, temperature, pressure and flow rates, the reactor equipped with pressure gauges, temperature sensors and vacuum meters. Some kinds of oil may require additional mixing, which is facilitated by complementary mixing section, consisting of a pump, a mixer and control sensors. These sections may be included in the process or disconnected from it as required. 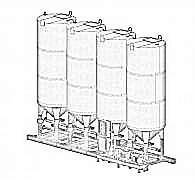 Intrinsically safe vacuume methanol recovery section is designed for removal of unreacted methanol from biodiesel.